Today I present to you three films that I have discovered throughout my cinematic journeys. They are three films of varying degrees of fame, but are rarely thrown into the pile of suggestions for a movie night. They are all so good I can almost guarantee you will be delighted by them. 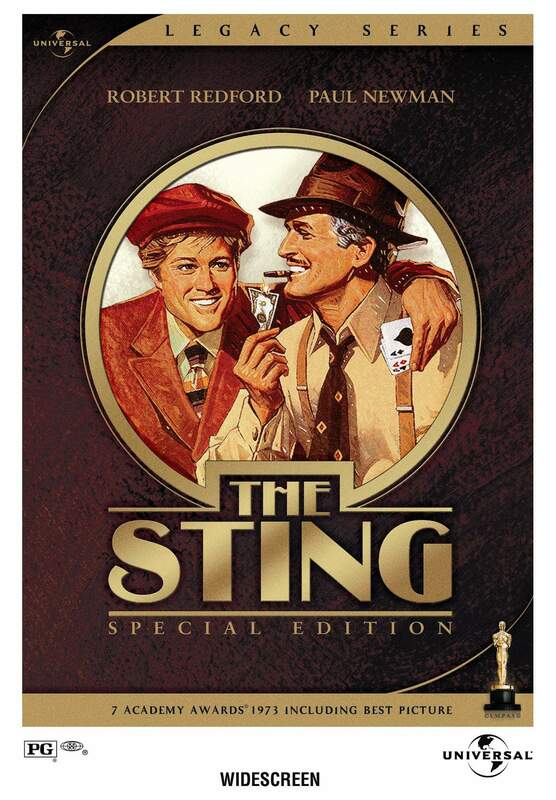 The most famous of the bunch, The Sting packs a punch in the classic gangster heist genre. It set the stage for later films such as the Ocean’s Eleven trilogy and The Italian Job. I also consider Robert Redford to be the original Brad Pitt, so if you’re a fan of Pitt, you need to check out some Redford films. This was in an era where CGI and giant special effects could not play a huge role in films. The dialogue, acting, and impeccable script make this one of the most charismatic and dynamic films I’ve ever seen. Ok, so we have another buddy/mystery/crime/comedy movie, but this has some modern flair. First of all, I will literally see any movie with Robert Downey Jr. in it. You may not share my affinity for him, but Val Kilmer is in this too, so chances are you’ll like one of them. This is an incredibly underrated film. When I ask people if they have seen it they usually answer no. I attribute its lack of acclaim with bad timing. The best part about this film is the great script delivered by the fast talking Downey Jr., and the incredibly sarcastic Val Kilmer. Michelle Monaghan is a bit forgettable as the female lead, but the two guys more than carry it. This film is a keeper if you’re looking for a laugh and a story. This completely embodies the classic chick-flick. It also is a film people tell me they haven’t seen. The story starts tragically when he loses his wife in a car accident, but doesn’t give the audience a large time to grieve with him as it quickly jumps into the other hilarious and endearing characters. I was in 7th grade when I saw this movie, and have seen it several times since. The film, written and directed by Bonnie Hunt, isn’t afraid to look like a true comedy with some romance instead of the other way around. This is the ultimate girls night in movie. It is always refreshing to see a romantic movie that hasn’t been recently marketed to us to death. Wherever your summer cinematic adventures take you, I hope that it is to places you’ve never been before. Getting out of your media comfort zone can take some planning and patience, but you will probably discover genres, actors, directors, and truths that you didn’t know before. Have you seen these films before? This entry was posted in Culture & Media, Movies and tagged Entertainment, Hollywood, Jessica Rae Huber, Movies, Summer. Bookmark the permalink. About “Kiss Kiss…” you say, “I attribute its lack of acclaim with bad timing.” Intriguing statement, but you never say why. Please illuminate. I have not seen the other two movies. I definitely want to see The Sting… two great actors! To elaborate further I would say I attribute it’s lack of success to a lack of promotion, and when it was released during the year. It came out on May 14, 2005 and that is not a huge time for movies usually. It’s not the summer, and it’s not the Holidays. When we think of Robert Downey Jr. now it’s easy to forget that he wasn’t the golden man he is now. He was still coming back from heavy drug use and rehab and even though, at the time, he was better as a person, he was still building his career back. Now if he’s the leading man in a movie, it will make 100 million dollars minimum, but back in 2005 he didn’t command those numbers. He’s still just as funny and quick-witted in Kiss Kiss though! By the way – I totally agree with Brad Pitt being Robert Redford’s contemporary. When I saw them together in Spy Game I first noticed it. Made me appreciate Robert Redford all the more!